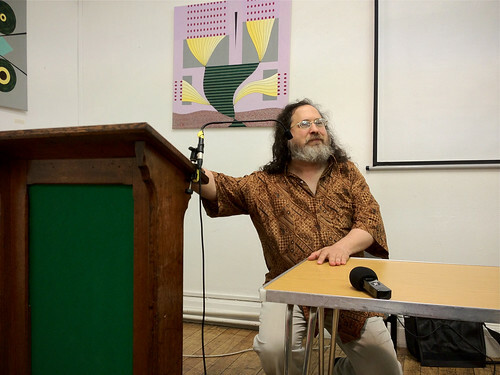 Recently I got to see Richard Stallman talk in London. He was the guest of the Open Rights Group and the Electronic Frontier Foundation. I have his talk and the Q&A that followed embedded and linked below. First though are my initial impressions recorded at the end of the night. 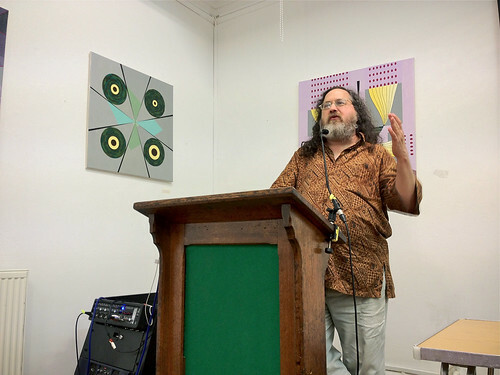 I had recorded this audio as a second thought and would like to thank Mark Cotton for cleaning, editing, dissecting and converting the files to OGG. He really knows his audio. I’d recommend him to anyone who needs audio services. Thanks to the Open Rights Group for hosting the night and if you care considering joining to assist them with their good work please OpenRightsGroup.org/join. 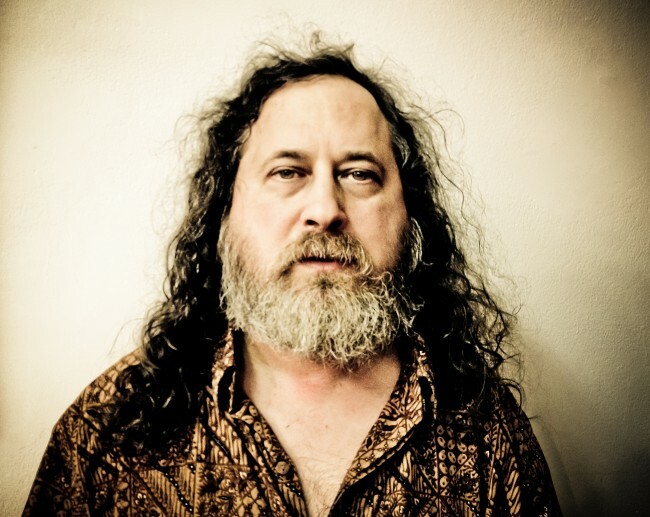 Any/all of the content on this page is licensed by Richard Stallman and free to use under the CC license Attribution NoDerivs. An utterly fascinating 2 hours spent listening to the audio here. So many points I want to talk about, but will ruminate over them myself for the next few days. Thanks Tom, I’ll be sure to check it out.